Chennai, the beautiful capital city of the culture-rich state of Tamil Nadu, is home to the Tamil film industry, the Marina Beach, tons of temples, historical monuments and much more. Previously known as Madras, like in most other metropolitan cities, one would come across people from various parts of the country who seek employment and not to forget, the Tamil film industry. The city has plenty of spots where most people love to relax in and head to during their leisure time and also on other occasions. One of the most visited places, without second thought, is the Marina Beach. Visiting the numerous temples around the city and not to forget window shopping at the malls are also favoured activities. Keeping aside all these, there are a number of other places which one can visit. Scroll down to know about some of the most loved hang-out places in Chennai. 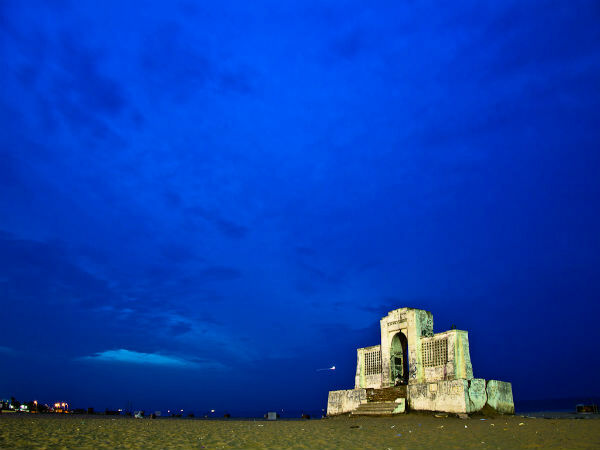 Located in Besant Nagar, the Elliot's Beach is a lesser-known sibling of the much famed Marina Beach. The beach is much cleaner when compared to the Marina and less crowded which adds on further to the peaceful ambiance. The beach is featured in quite a number of Malayalam and Tamil movies which makes it popular for those visiting the city for the first time. The Cholamandal Artists' Village was established in the year 1966 and is the largest artist community in the country. The artisans here are known for the Madras Movement of Art which welcomed modernism style of art into South India. The village has 20 odd resident artisans who live together as a community and practice their skills. The residents also run the Artisans Handicrafts Association which manages the villages and sales of the works, etc. The place has a permanent exhibition which displays paintings, sketches, sculptures, handicrafts, etc. Located on the much loved ECR, the Muttukadu boat house is formed on the backwater area of the Bay of Bengal. The boathouse was inaugurated in the year 1984 and at present has about 15 odd rowboats, 27 speedboats and quite a number of pedal boats. The boathouse witnesses a large crowd especially during weekends and holidays, as the residents venture out of the city to put a break to the hustle and bustle of a city life. The Pulicat Lake, is India's second largest freshwater lagoon after the Chilka Lake. The lake is a place which for sure would sweep you off your feet with its unparalleled beauty. One would simply be surprised to believe that there is such a humongous lake which is ever-present inside the city limits. One can spot various migratory birds here along with several indigenous ones. The Santhome Church was built by the Portuguese explorers sometime during the 16th century over the tomb of St Thomas the Apostle. However, in the year 1893, the church was rebuilt by the British and houses the relics of St Thomas. The structure showcases the Neo-Gothic styles and is one amongst the three known churches in the world to be built over the tomb of an apostle of Jesus Christ. The other two are St. Peter's Basilica in Vatican City and Santiago de Compostela Cathedral in Spain. The Vedanthangal Bird Sanctuary is located at a distance of 75 km from the city of Chennai in Kanchipuram. The sanctuary is the oldest waterbird sanctuary in India. In 1798, the British started developing the area into a sanctuary and this was completed in 1858. The sanctuary receives many avian visitors throughout the year; however, the months from November to March witness the nesting season of these birds.